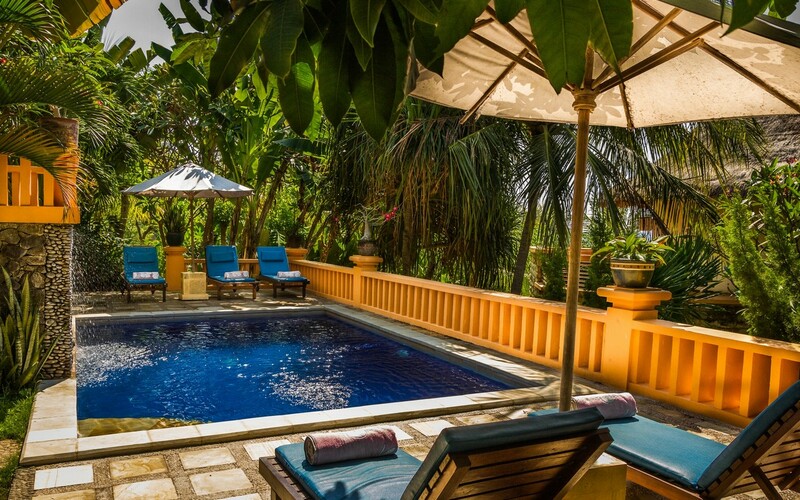 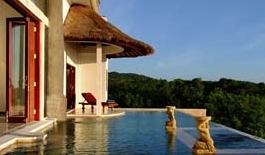 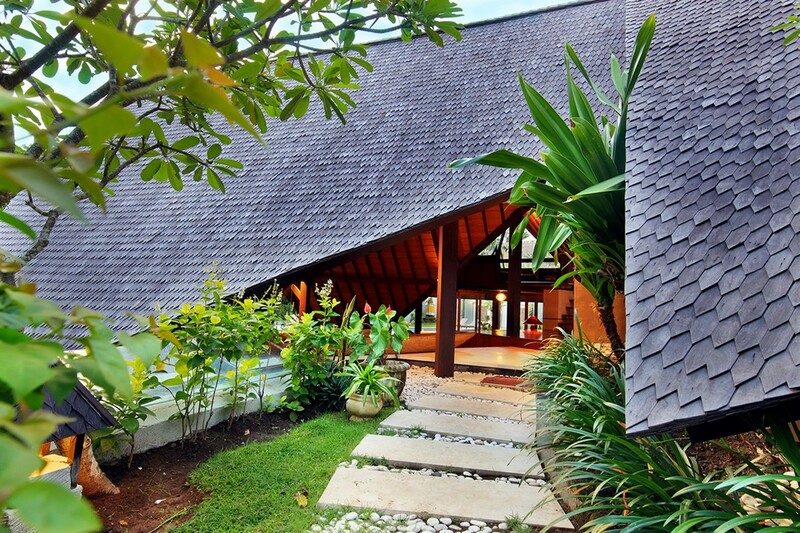 This villa designed as a duplex is ideal for 4 people. 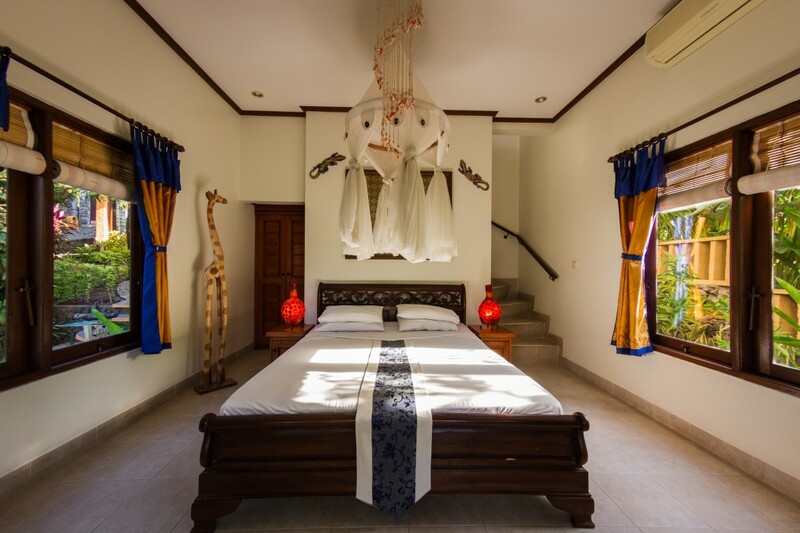 The ground floor consists of a bedroom with satellite TV, DVD player and mini bar. 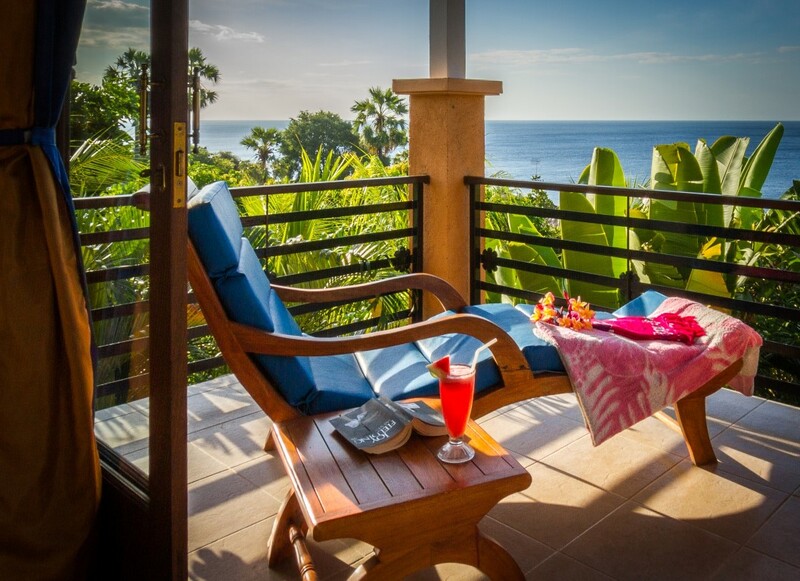 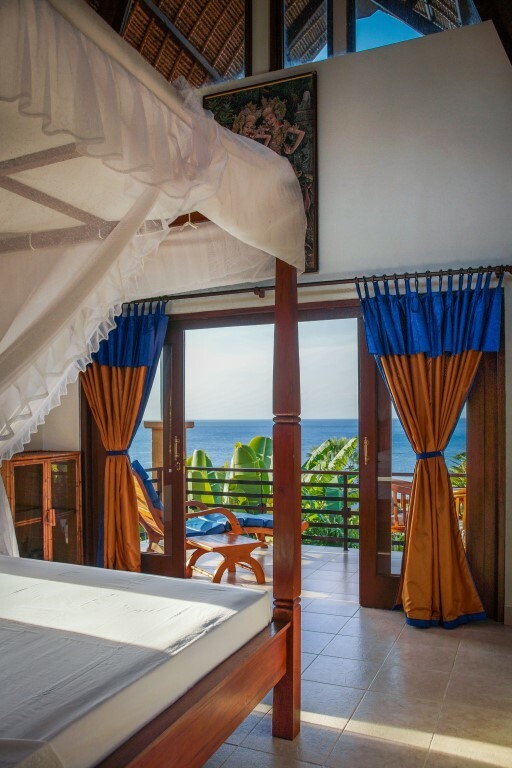 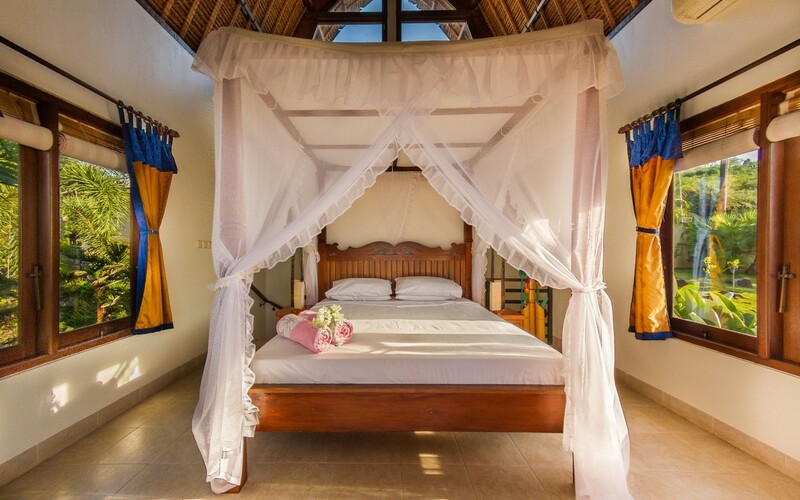 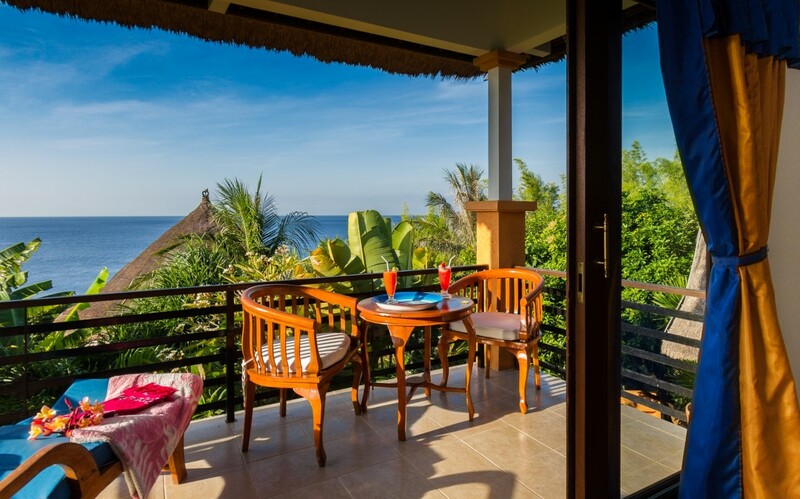 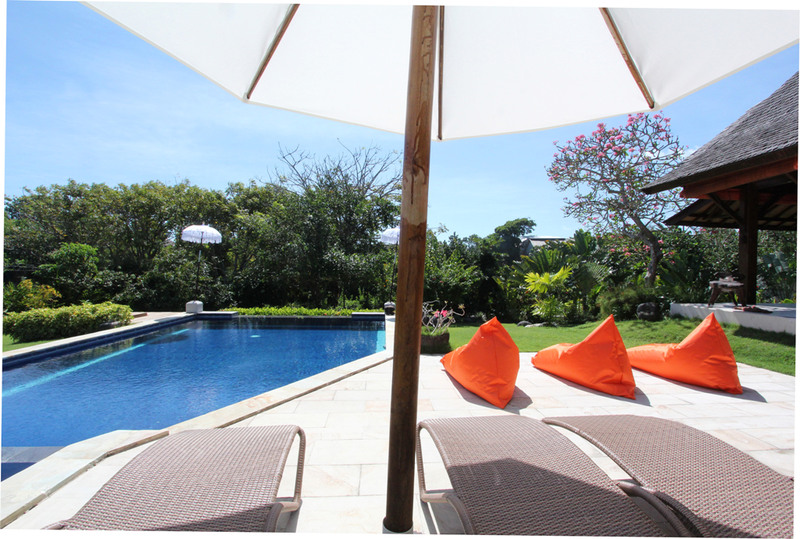 The second bedroom is on the first floor and has a panoramic view of the ocean and Mount Agung from the balcony. 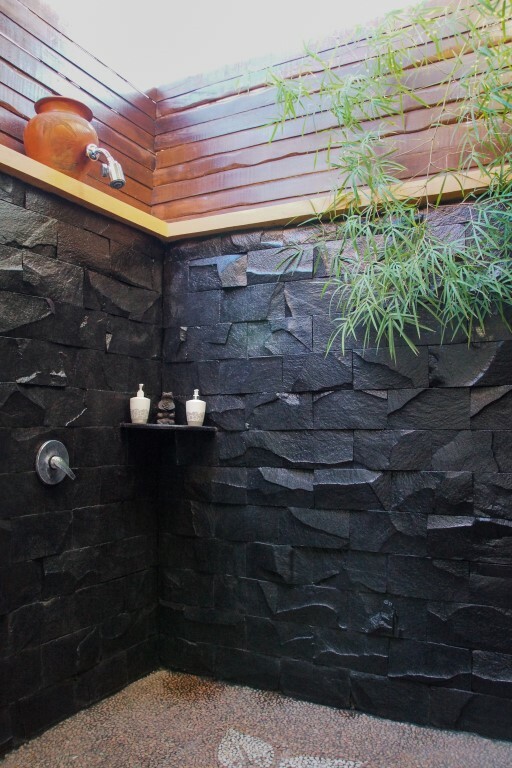 The bathroom is located semi open to the mezzanine.